The 2018 Auto Expo is about seven months away at the moment. However, this hasn’t kept speculations on upcoming cars and new car launches at the motor show from pouring in. We’ve already come up with a list of upcoming cars at Auto Expo 2018. Earlier today, we even came up with a list of cars that Maruti Suzuki is expected to showcase at the next Delhi Auto Expo. 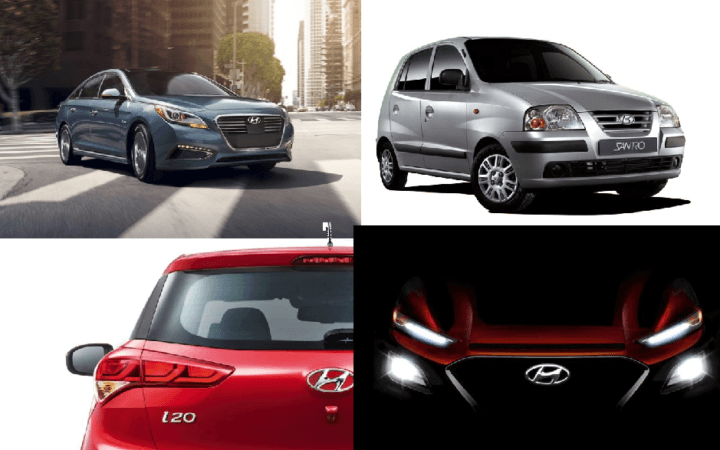 Now, in this post here, we have put together a list of all the possible new launches and unveiling at the next Expo by India’s second-largest selling car manufacturer – Hyundai. Our list of Hyundai Cars at Auto Expo 2018 here should give you a glance at what’s coming from Hyundai for the 2018 Delhi Auto Expo. Hyundai India has been busy readying the Elite i20 facelift. 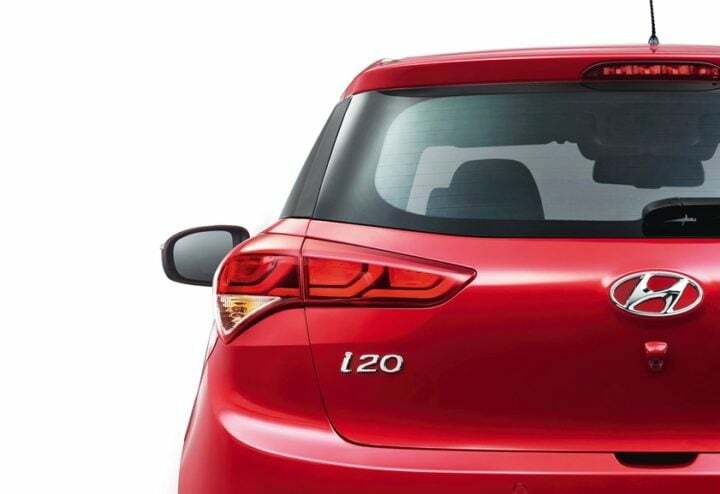 The i20 facelift wll come with some styling tweaks, like a new cascading grille that you can even find on the Xcent facelift. Engine options will be remain the same. However, Hyundai just might launch a turbo Petrol mill to increase the heat on the Baleno RS and Polo GT TSI. 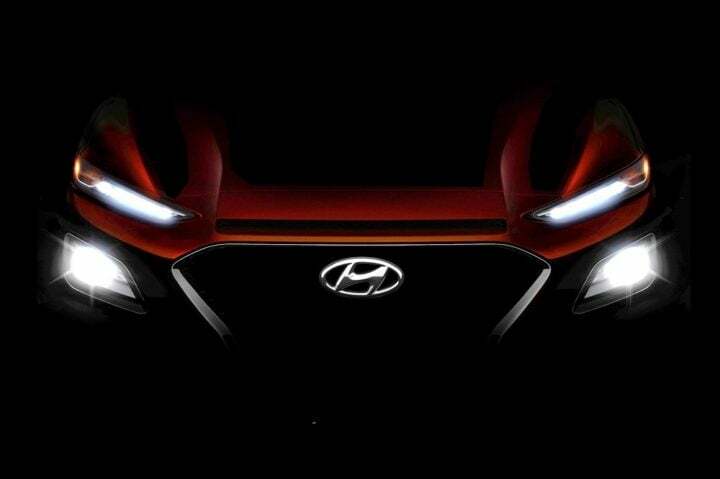 While not much is known about this upcoming Hyundai compact SUV, a pre-production version might make a debut at the upcoming motor show in Delhi, India. 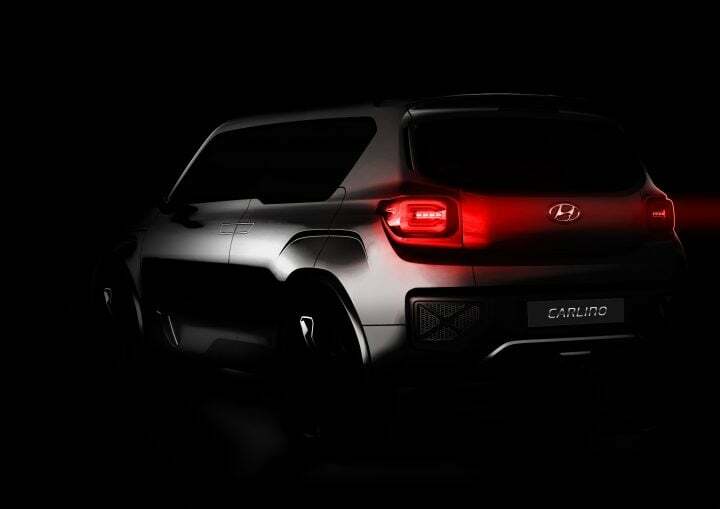 This compact SUV will be based on the HND-14/Carlino concepts we’ve seen earlier. Hyundai will launch this compact SUV only by 2019. Yes, the Santro is coming back and this could be the one of the most important upcoming Hyundai cars at Auto Expo 2016. While the Santro moniker will make a comeback in the Indian market, the new model will be a lot more modern, and of course, pricier, than the Santro of yesteryears. 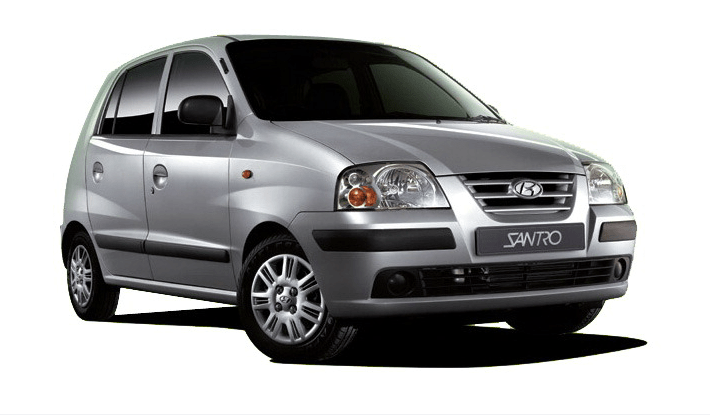 The next-gen Santro could borrow engines from the Eon and even offer an AMT option. One of the most interesting models amongst Hyundai cars at Auto Expo 2018 could be this new small SUV based on the i20’s platform. 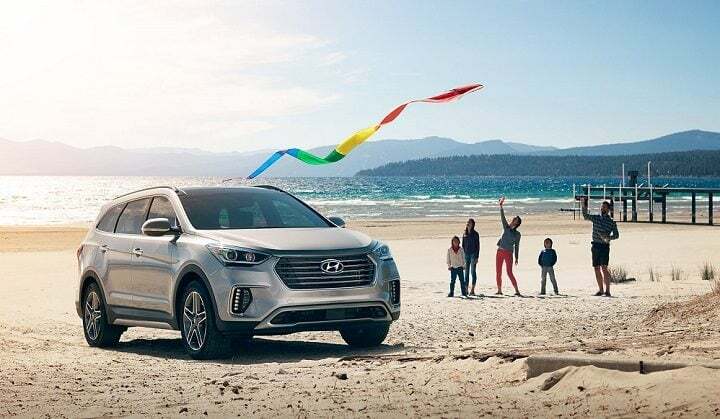 It’s not sure if the Kona would ever make it to India’s car market, but who knows, Hyundai might just find it apt to gauge show-goers’ response to its latest baby. 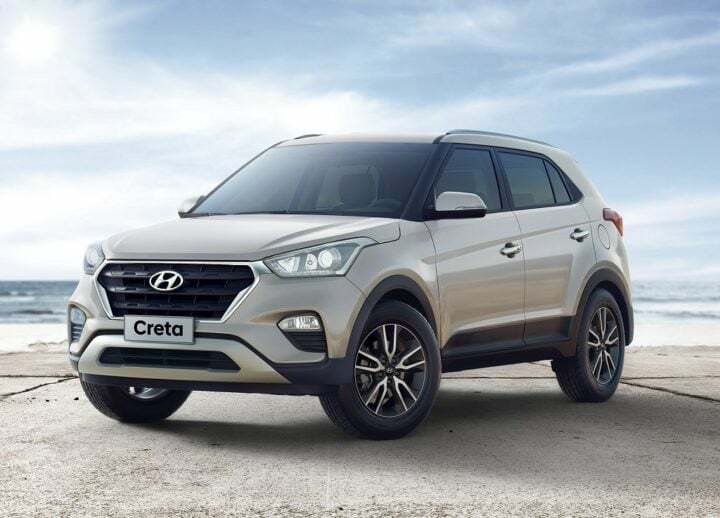 Yes, Hyundai could showcase the facelift-ed Creta at the Auto Expo 2018. While the engine options will remain the same, the Creta facelift will carry a set of styling updates and new features. It’s also likely to get some new trims. Definitely one of the most important upcoming models amongst Hyundai cars at Auto Expo 2018, this one. The latest generation Sonata is likely to be in attendance at the 2018 Auto Expo in Delhi. 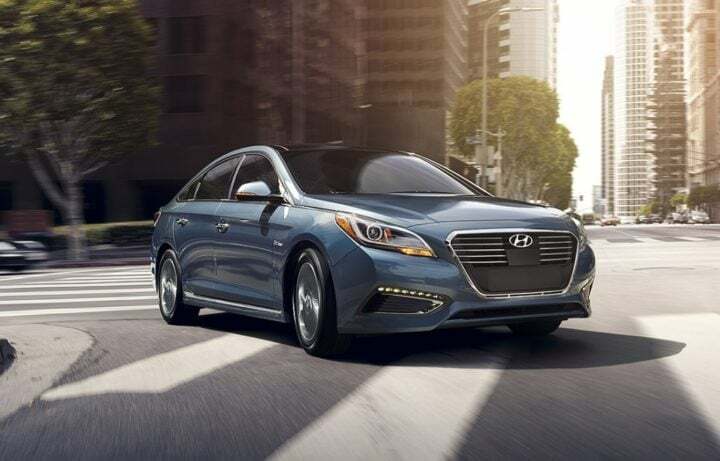 It will feature a hybrid powertain and will go on to rival the likes of Honda Accord Hybrid and Toyota Camry Hybrid. Expect prices to start around R 30 lakh. 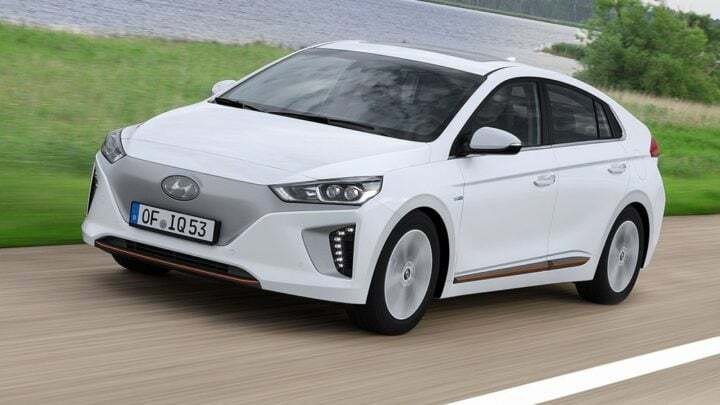 Hyundai has come up with the third body variant in the i30 lineup. 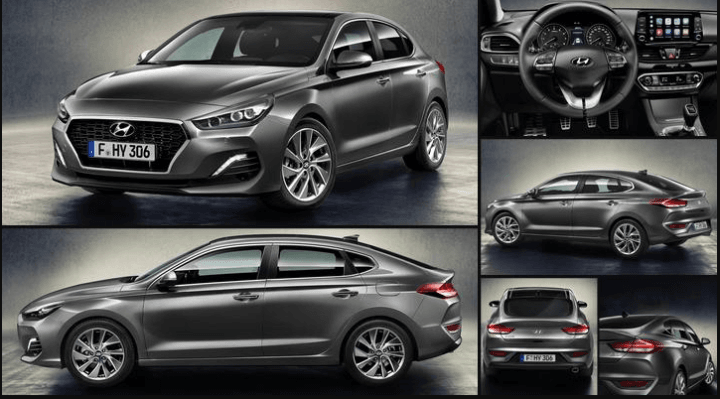 Dubbed as the i30 Fastback, the new notchback will find itself slotted between the Verna and the Elantra. India launch looks a bit uncertain at the moment. However, it’s very likely that the new model will be in attendance at the Auto Expo 2018. It may be noted here that the manufacturer showcased the i30 hatchback at the last Expo. If and when launched in India, expect the Fastback to have a starting price of Rs 12 lakh. The current Santa Fe still looks as good as new. However, it will likely get a facelift, gaining new features in the process. The price of the SUV is not expected to change. It will likely soldier on with a 2.2-litre CRDi diesel engine. Expect the car to look sharper than before when the facelifted car arrives. Hyundai does not have an MPV offering yet. However, the situation is likely to change soon. Expect the Korean car maker to roll out an MPV based on the same platform as the Grand i10. This MPV will likely take on the Maruti Suzuki Ertiga in the MPV space. Expect the Hyundai car to sport similar design and styling as the Grand i10. The engine options on the car will likely be those doing duties on the Verna, i.e. 1.4-litre petrol and 1.6-litre petrol, and 1.4-litre turbo diesel and 1.6-litre turbo diesel. Stay tuned to CarBlogIndia for latest news updates on upcoming Hyundai cars at Auto Expo 2018.